REVIVAGEL replenishes nutrients the skin needs to feel smooth and appear younger. This moisture enhancing gel contains hyaluronic acid, the body's natural hydrator, to bind moisture to the skin. Hydrating REVIVAGEL is recommended for use with Vitamin C treatments and will help maximize the benefits of your daily moisturizer. Hydrating REVIVAGEL replenishes nutrients the skin needs to feel smooth and appear younger. This moisture enhancing gel contains hyaluronic acid, the body's natural hydrator, to bind moisture to the skin. Hyaluronic acid is naturally occurring in connective tissue throughout our bodies, with 50 percent of it being found in our skin, and it has an amazing ability to retain moisture, with each molecule being able to hold up to 1000 times its own weight in water. But aging skin often becomes depleted of the proper levels of hyaluronic acid. This is where Revivagel can make a big difference in your skin, reviving its moisture and hyaluronic levels. Revivagel Hyaluronic Acid Gel Cream Booster for intense hydration of dry skin. This is a Revivaderm Brand Fan Favorite, due to its lightweight feel, cooling effect and intense moisturization of the skin. Harnessing the power of highly concentrated Hyaluronic Acid, Revivagel provides all-day moisturization using natural ingredients and supporting bionutrients such as Aloe Vera and Sweet Almond Oil. What results is a cream that turns into a gel and penetrates deeply into the skin, attracting and retaining moisture for an all-day natural dewy glow to your skin. This is a must-have product for the heat of the summer and also for the dry heat exposure of cold climates in the winter. This is also a new luxury pump that is sized for the ultimate ease of use and in a larger 1.5 ounce amount to last longer - but for the same price! Apply a small amount onto your fingertip into the skin until completely absorbed. Use daily in the morning and evening for best results. REVIVAGEL is a light-weight gel moisturizer ideal for oily skin types where a cream or lotion may be to heavy. 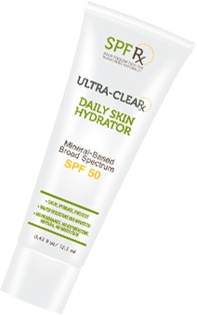 Quick absorbing while providing the skin the essential hydration it needs to be healthy and balanced. Many products throw hyaluronic acid into their complicated formula mix, and in doing so, they lose the potency, and slow the absorption. Revivaderm uses the best hyaluronic acid and keeps it simple, light and highly effective. Its the simplicity that people love, and the results that brings them back. Hyaluronic acid (HA): Moisturizer, leaves skin smooth and restores elasticity. RevivaDerm™ combines state of the art science and beauty to deliver an innovative line of skincare products. What is the best part about RevivaDerm? Through a combination of specially formulated potent botanicals and compounds developed with innovative technologies.Revivaderm’s products delay the onset of wrinkles while diminishing already formed wrinkles. Revivaderm’s line of products have multi- benefits that takes care of your skin at every stage. All our ingredients are carefully selected and mindful of their source. We are committed to using safe ingredients that have been supported and tested by clinical research.